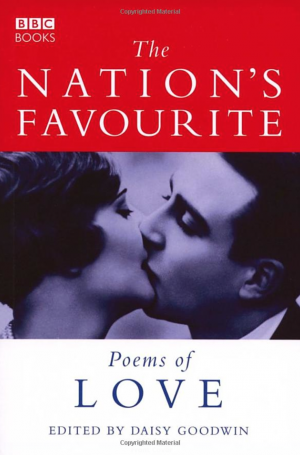 From the first flush of love, through courtship and vows of eternal fidelity, to serving the writs and drowning your sorrows, ‘The Nation’s Favourite Love Poems’ will meet all your romantic requirements. In this selection of 100 popular poems, poets of every age consider that most universal of themes: love. As well as traditional lovers’ favourites such as Elizabeth Barrett Browning’s ‘How do I love thee?’ and Shakespeare’s ‘Shall I compare thee to a summer’s day?’ there are contemporary voices such as Adrian Mitchell, Wendy Cope and John Fuller, whose erudite yet salacious ‘Valentine’ would melt the most fridgid heart. There are even poems for those more melancholic moments, Hardy’s haunting ‘After a Journey’, for example, and Larkin’s poignant ‘Love Songs in Age’. So, wherever you are in the tunnel of love, dip into this book of poetry and you will be reassured to discover that at one time or another a poet has been there before you.